K.A. Richardson has taken a mini-break from her native North East and has set her latest novel in Edinburgh. Although I have been, I don't know Edinburgh well whereas I know the North East as it is my home. What I found amazing is that I felt as if I knew Edinburgh as well as the North East, as K.A. Richardson has painted the dark grisly streets of Edinburgh in an equally vivid light. I loved the psychic element in From the Dark; Antonia is such a colourful character having been shunned by the Romani community and rekindling her schoolgirl crush on Mark McKay. 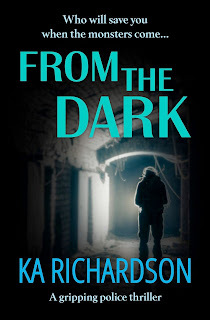 There's a killer in the vaults beneath Edinburgh's ancient streets and Antonia seems to be able to tap into the psychic energy, giving her details that she couldn't possibly know. When she goes to the police, she is worried that they won't believe her but she sees a familiar face there in old schoolfriend, Mark McKay. Mark is surprised that he believes Antonia's visions so quickly, but they are so accurate that he has little choice. Working together, they race against the clock to catch the killer before he turns his sights on one of them. Wow! What a thriller! I felt as if I had partaken in a tour of the Edinburgh vaults myself due to the seriously impressive scene setting that K.A. Richardson does with her wonderfully expressive words. 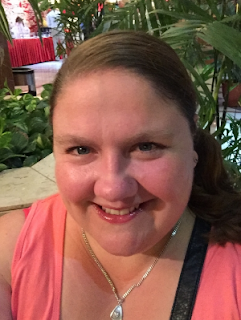 It is pretty dark and grisly in parts; there were some scenes of torture that made me recoil in horror and my stomach is lurching just thinking about it. I'm not squeamish at all but it really is written so vividly that I could almost see, hear and feel everything that was happening. 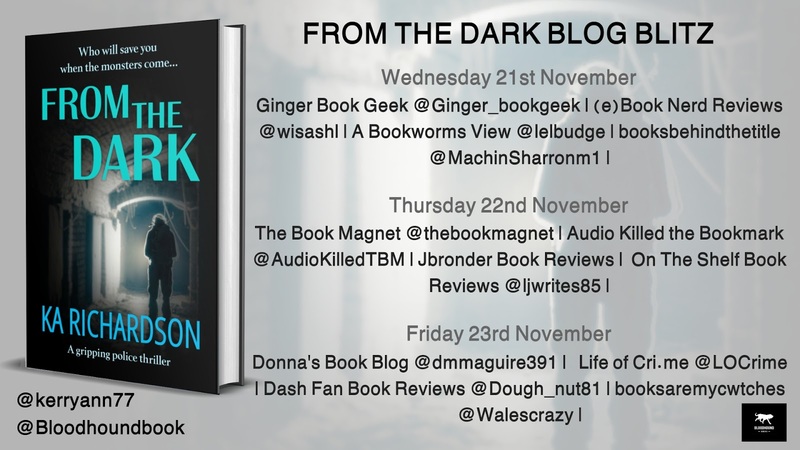 Dark by name and dark by nature, From the Dark is a spooky, spine-tingling thriller with a supernatural edge that had me riveted from start to finish. If you haven't discovered K.A. 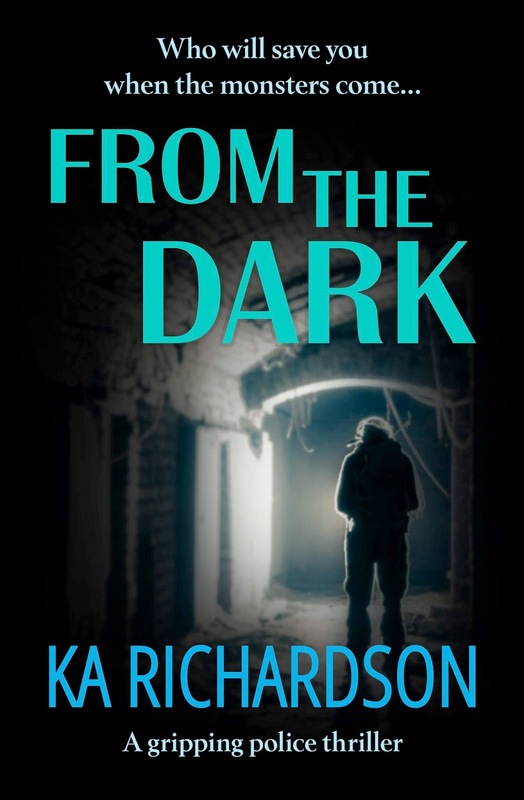 Richardson yet, pick up From the Dark today and you'll be hooked...in more ways than one!